Ultimately this will help you to deliver better outcomes for your beneficiaries. We are keen to support organisations that we fund to develop their evaluation practice and to see it as useful part of their own practice, rather than just as something that has to be done in order to keep funders like us happy. 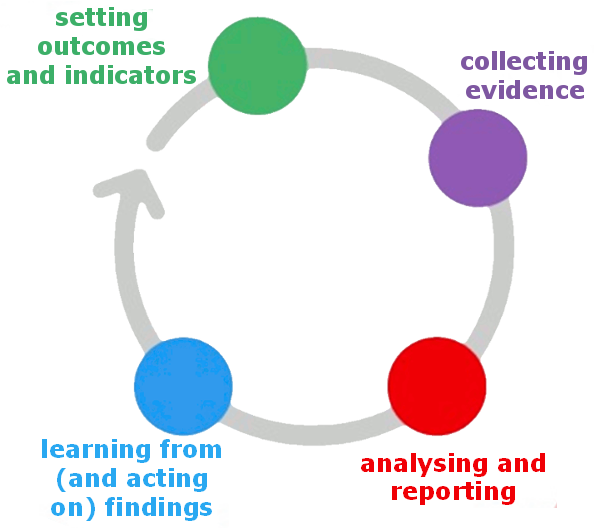 The evaluation cycle is a useful tool to help you to plan and deliver your evaluation work and then put the information you get to good use. Set outcomes and indicators – what are the differences that you want to make (outcomes) and how will you measure whether these have happened (indicators)? 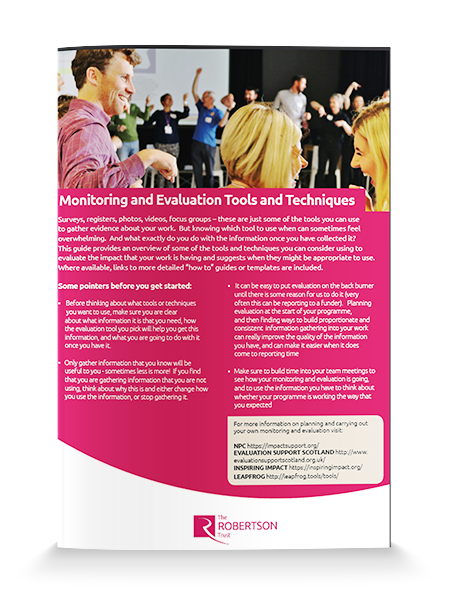 If you are interested in reviewing where your organisation is at in terms of monitoring and evaluation practice, Inspiring Impact has created a handy 'measuring up' tool.